Chivalry has a new home in London at Reliks and Reliks.com. With little more than a dream, Jamie Meiklejohn and Chris Howard developed a concept store that pays homage to our glorious past. When we started Reliks people thought the idea was crazy but once they saw what we offered they soon understood our passion.We rely heavily on the history of every single item we carry. We started years ago by traveling to festivals throughout Ontario and hoping to one day open our store. April 1, 2000 we realized these dreams with the opening of our first location. We always knew in our hearts that what we were doing was interesting but we needed to convince others. We took inspiration from the fabulous tales of knights and their ancient battles. Everybody loves a great story and that�s what we were going to give them. We started building a store that was not only a retail location but acted as a mini museum loaded with history. We wanted it to feel like you�ve stepped into a museum but still be able to hold a real sword, and see what a warrior would see through his helm. 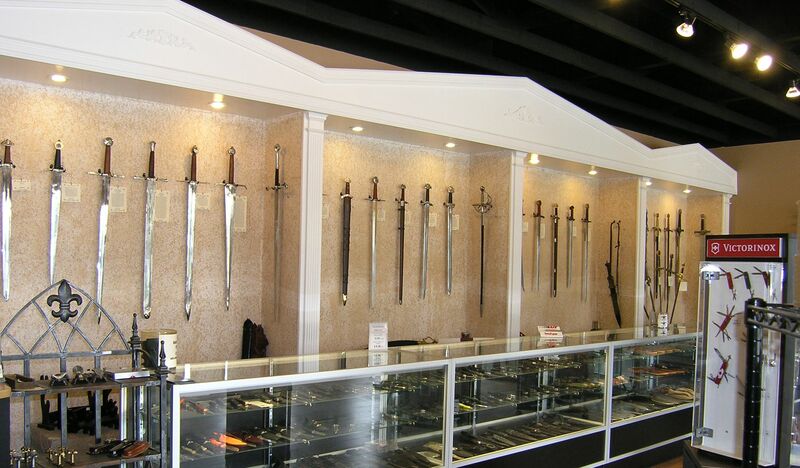 We searched the world for weaponry and armour that rival the originals and bring in new pieces weekly to give our customers new experiences every time they visit. Reliks also focuses on the lifestyles of our past with items such as chess sets, a game with origins dating back to the 6th Century AD, jewelry, clothing and much more. We chose a career that most people have forgotten about and haven�t looked back. We couldn�t think of dedicating our lives to anything else. We have several great products on sale now ranging from pocket folders to fixed blade knives for every day carry, hunting and tactical use. 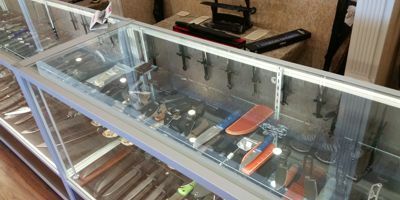 We also have several European and Japanese swords available. Currently you can save up to 46% on select items while quantities last. At the time of this post, there were over 50 different pieces to choose from. All made by top manufacturers. Get them while you can from our On Sale Now page. And She's Back! 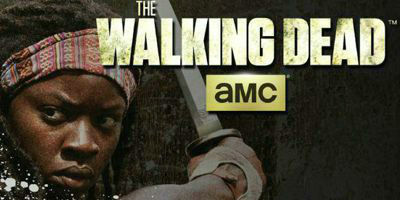 The exciting Michonne's sword is back and is ready to ship! This amazing sword from the Walking Dead has been so incredibly popular we have seen two limited edition pieces come and go within the past year! This edition may not include a cool zombie stand like the signature series, but this fully licensed sword is now unlimited. If you missed out on the highly collectible limited swords you can still get one of these amazing Michonne collector swords for your personal collection!